The customer service is friendly and professional. Storage areas are secure, clean with a well maintained property. I particularly like the secure yet simple gate access. I'm renting a office and truly love my place of business in this area. Charity is awesome and professional!!! The facility is clean and safe. The office staff has been very helpful and go beyond the cost of duty! Thank you for all your EXCELLENT efforts. Wonderful team and great service! 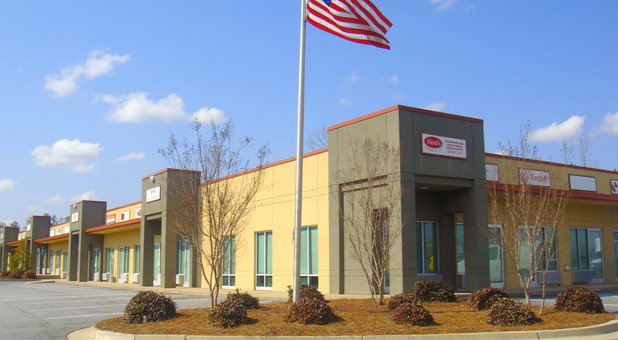 My experience at the Fayetteville Storage Xxtra has been seamless and professional. The staff is always helpful and courteous, anticipating needs and exceeding expectations. I highly recommend Storage Xxtra to anyone looking for short or long term needs. Charity and Kelly were professional, friendly, accomodating. The location was convenience, and the service was impeccable. Thank you for great service!!! Chasity is awesome and always so helpful. I love it when I call and am able to speak with her. She knows everything about everything and always willing to help me. Thanks Chasity! I would recommend this facility to everyone. Thanks so much and I also appreciate the cleanliness and the type of locks used at your facility. I feel like my belongings are safe there! Sincerely, "A.B." New clean building. Friendly and knowledgeable staff. The staff are friendly, known the Fayetteville, Georgia location for a few years and have used on and off. Quite happy with the service. They ladies here are awesome. The day of my move in, I realized i needed a larger unit and they helped right away even with it being my screw up. They have continued to be great in the year that i have used their location. Having used other storage solutions before i really appreciate the level of service i have gotten here with comparable prices to go with it. I have been satisfied with this location. I am disappointed with the $11.00 price increased because there are no additional services being provided, now I am searching for another location. Shirley, thanks for your positive rating. I am sorry you are unhappy with your rent increase. We do our best to keep our rates low, but operating expenses increase every year. You may have had a promotional rate that has now expired. We certainly appreciate you as a Storage Xxtra customer and want to keep your business. Let us know how we can help.